Alignsat 0.9m SOTM antenna is a satellite communication antenna system which can be widely used for vehicle and marine operations at high speed. 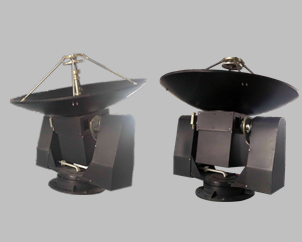 Alignsat 0.9m SOTM antenna is a satellite communication antenna system which can be widely used for vehicle and marine operations at high speed. It is always aiming the synchronized satellite in high precision, which ensures the satellite communication of the antenna is uninterrupted. Anti-terrorist emergency communication, the fire and the water disaster site to emergency communication support, TV Live, UAV, helicopter, AEW telecommunication, observe and control support, the government department of emergency communication, civil air defense, news and media, mobile telecom carrier, public security, fire protection, frontier defense, military and enterprise and public institution and so on. It adopts polarization automatic tracking system, which realizes satellite acquisition without manual operation.